50cm!!! WHAT MORE COULD YOU WANT? The Papilio is a unique binocular. Of course it's a fine and compact companion on nature trails and holidays, but when your interests are flowers, insects, birds or butterflies the Papilio turns out to be an indispensable instrument. 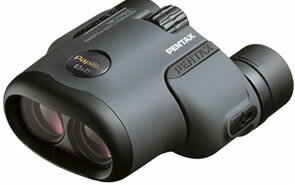 No other binocular combines fine handling and easy viewing with an unsurpassed close focus of only 50cm! You can observe nature in its natural habitat without disturbing or missing the finest detail.